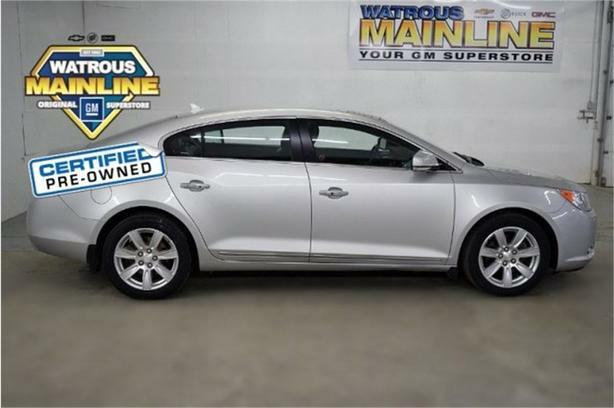 Solid and stately, this 2012 Buick LaCrosse will envelope you in well- engineered charm and security. With a Gas I4 2.4L/145 engine powering this Automatic transmission, this ride is an intoxicating mix of precise machining and allure. It's loaded with the following options: ENGINE, 3.6L DI V6 SFI W/E85 CAPABILITY (STD), Windshield wipers and washers, variable intermittent, flat blade, Windshield humidity sensor & auto defog activation, Windows, power, driver & front passenger express up/down & rear passenger express down, Wheels, 18 x 8 machined faced aluminum, Universal Home Remote, Trunk release, power, Trunk entrapment release handle -inc: internal manual, Tires, P235/50R18 all-season blackwall, and Tire Pressure Monitor . Visit Watrous Mainline Motor Products Ltd at 208 1st Avenue East Box 70, Watrous, SK S0K 4T0 today.